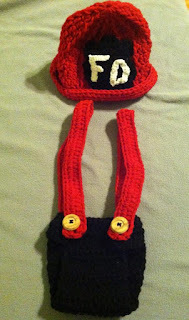 Out of 139 "likes" on Leslie's Crochet Creations, I finally found my winner! I used Random.org to add the names (minus my immediate family), hit the button to scramble them all, and viola - I have a winner!! You are the winner of a queen sized afghan, made by me! So you all know, Pastor Taylor was my pastor when I lived in Philly. I love him and his family very much, and I hope they love my afghan! I hope I don't see a mass exodus from my page now... because next month I'm giving away another afghan! Only stipulation - I cannot LOSE fans! 139 or more... Not the same size, but an afghan none the less. A nice throw for your chair - something to cuddle under on a cool night and watch tv. Be on the lookout - next drawing is 3/1/13!! This has to be the smartest idea ever!! Just a shoebox (some cute boots I have - and I have BIG FEET) - poke holes in it and thread your yarn through. This saves me from the tangled yarn I always end up fighting with... so this was a wonderful time saver! Anyway - back to the grind for me... I have to finish an afghan!